HELLO? Um, is anyone out there? It's been such a long time since I've posted to my blog I'll be surprised if anyone is still following! 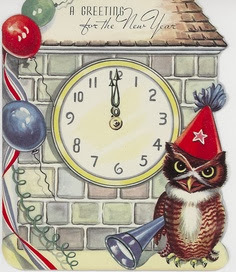 Well, it IS high time I started to post again and I hope in the New Year I can post at least once a week! If nothing else, than to share some cute vintage images or say... "hello, I'm still here"! 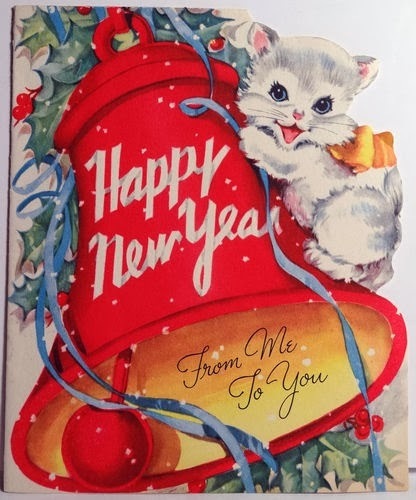 So I'm going to start the New Year right! 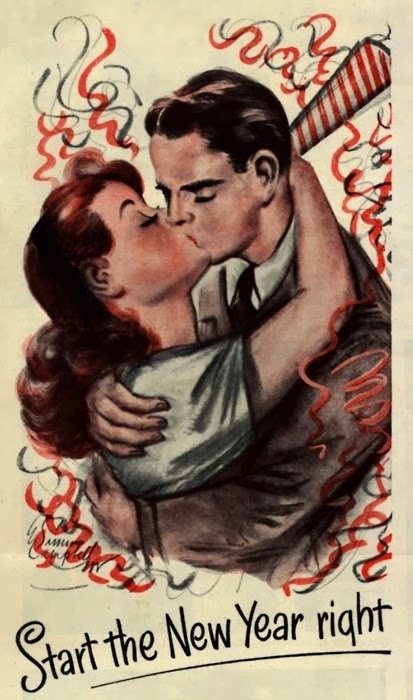 And wish you the Happiest of New Years! I am so thankful for my Hubby who works so hard at a very stressful and dangerous job. I'm thankful for my beautiful daughters who are learning the value of hard work. I'm thankful for my extended family and friends who surround me with love and laughter. 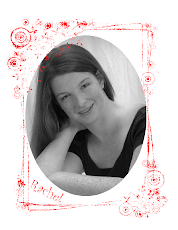 I'm thankful for my Bloggy friends who share so much of their lives and talents everyday. 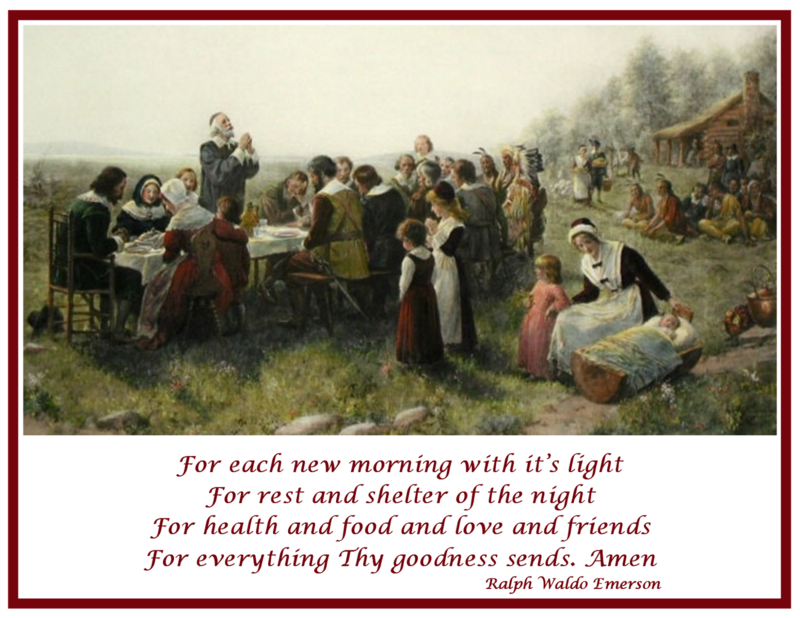 And I'm thankful that I live in this wonderful country, which God has so richly blessed! I know I've abandoned my blog lately and I hope if you are still with me, I promise I'm going to try harder in the coming months to keep my blog current and interesting. 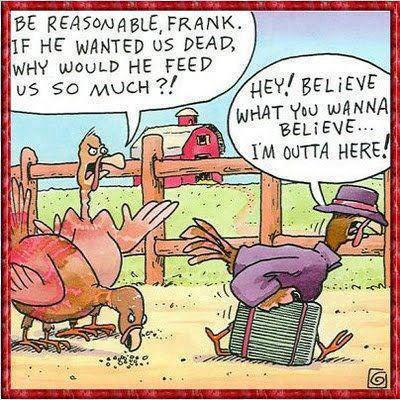 So have a wonderful, safe Thanksgiving and have a good time shopping or whatever you have planned this weekend! This is the third and final post about my BIG Backyard Makeover! 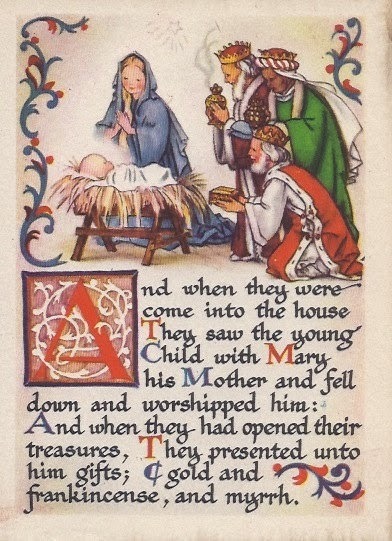 If you missed the previous post you can find Part I HERE and Part II HERE. 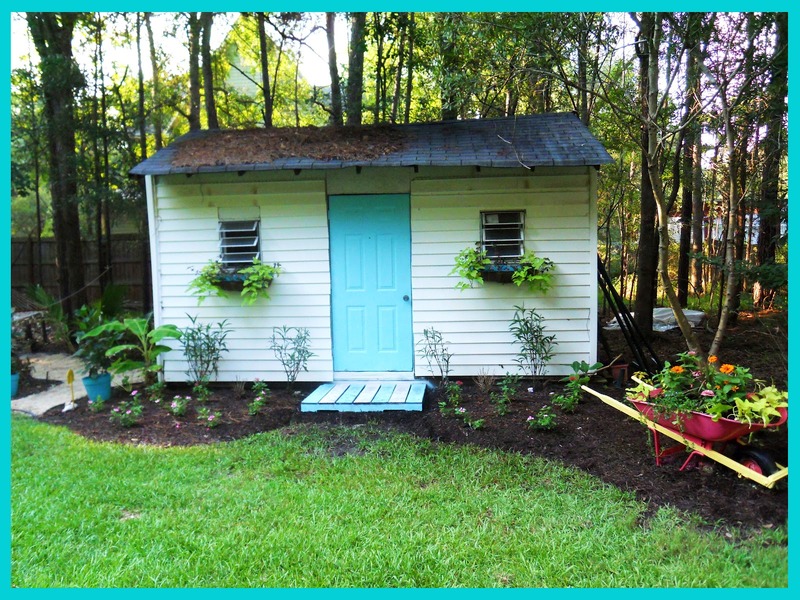 This phase consisted of the old garden shed and the area between the shed and pond. This was the most grueling part of the whole makeover. 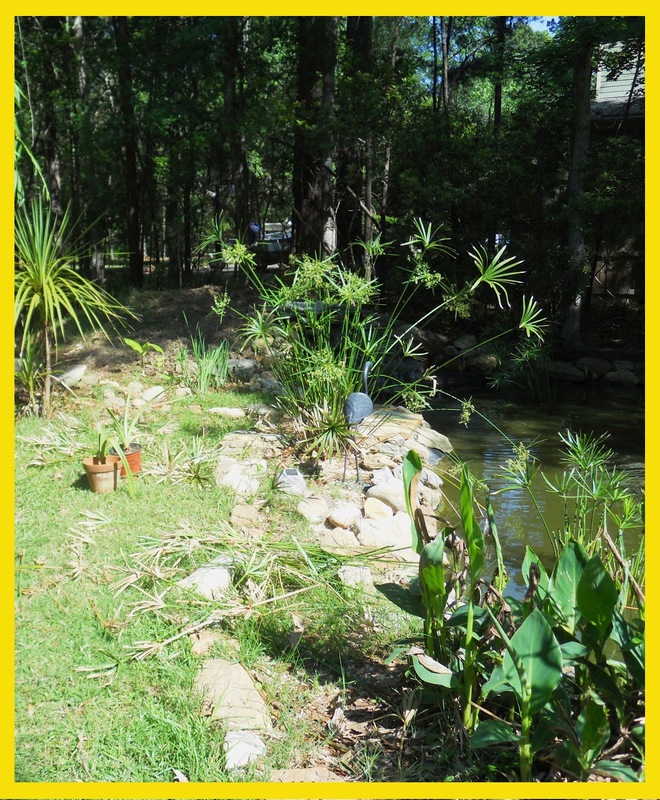 The area between the shed and pond was low and swampy and was filled with old bricks, trash, weeds, stumps and poison oak which stealthily sneaked out and attacked me! I have never had poison oak before and let me tell you, I don't want to get it again. I scratched and itched for 2 straight weeks! I also had to work with some ugly permanent fixtures. In the picture below you will see a very ugly, large black, upside down pot, it actually hides the pump for the deep well which you can see just to the left of the pot. But this area also had some great redeeming features! There are lots of tall shade trees and some existing native Palm trees. 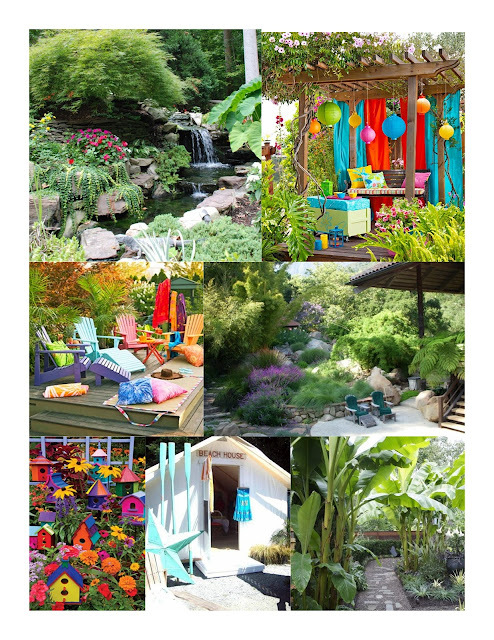 I knew this area would be the perfect place to really showcase the Tropical Caribbean feel I was trying to create! 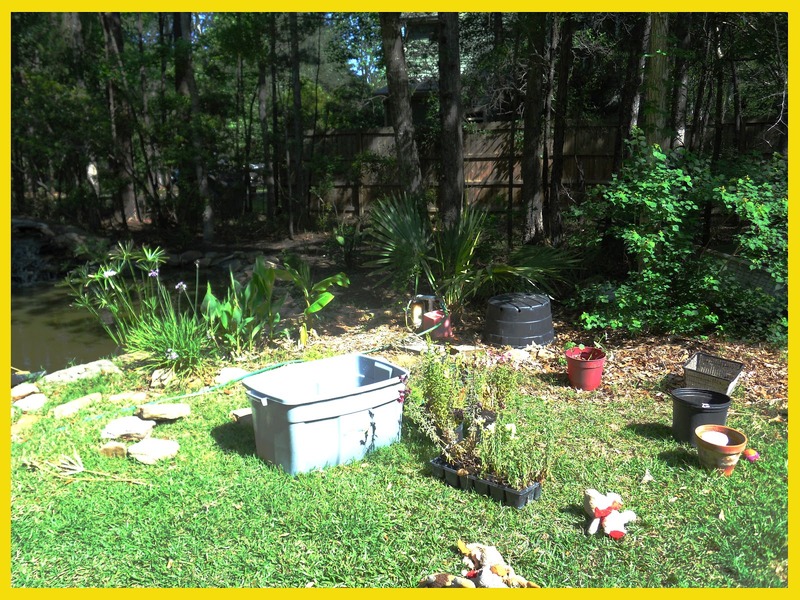 Here is a "Before" shot of the low swampy area. 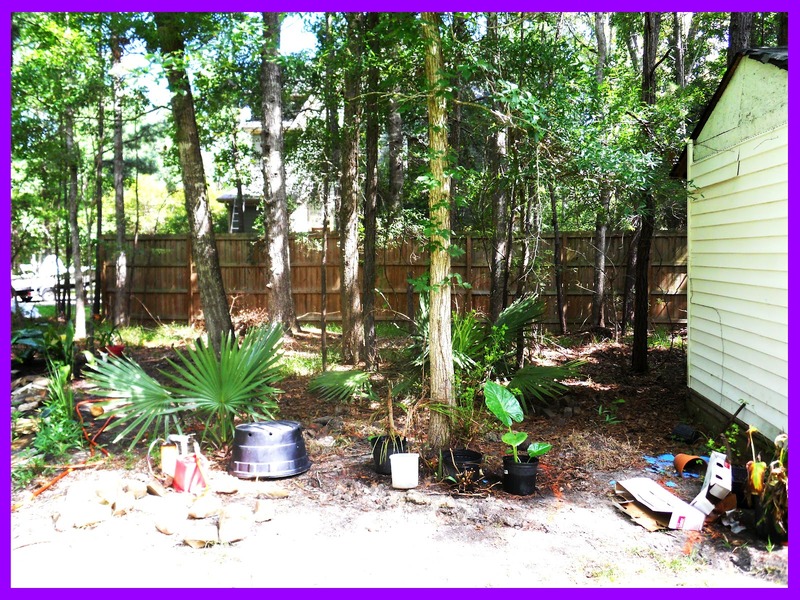 I started this area by removing all the old trash and weeds, digging up all the old bricks and stumps, then raking and raking and raking till the area was fairly level. I could not bring in a lot of dirt to make it completely level because that would cause undo stress on the existing tree roots. So, to help eliminate the swampiness, I created a curvy sand "Beach" that will allow water to perk down through to the tree roots. I actually added about 1,300 lbs of sand. Next, I added lots of really cool tropical plants including Banana trees, ferns, elephant ears and some very sweet smelling Ginger. I stretched our hammock between two trees and came up with a fun solution to hide the pump. And here is an "After" shot of the once trashy, swampy area! The large brightly colored basket now hides the pump! It is weather proof and is made from recycled plastic bottles. I have had it for about 12 years but in it's former life was golden tan, burgundy and hunter green, nothing a little spray paint couldn't fix. The smaller basket hides the hose. The tall pole was snagged from my neighbors trash, again, nothing wrong with it that a little spray paint couldn't fix! The lantern is actually solar powered and lights up at night. Here is another "Before" shot from a different angle. This shot was actually taken after I cleaned the area up a little bit. On the end of the shed I added a trellis with a Mandevilla vine, more ferns and Caladiums and a large, brightly painted Tera-cotta lizard that Mr Bubble and I brought home from our last cruise to Cozumel. Potted Hibiscus define the entrance to the "hidden beach". And here is an "After" shot of the same area. And finally I attacked the old garden shed, unfortunately, I forgot to take a "before" shot so I will just have to describe to you what it looked like! The door was kind of white but mostly rusted. There was no stoop below the door so you had to step up about a foot to get into the shed. The areas on either side of the door were covered in weeds and more trash, overgrown trees and no plants or anything of interest. I removed all of the weeds and trash, cut down & pruned the trees and cut some large sweeping bedlines. 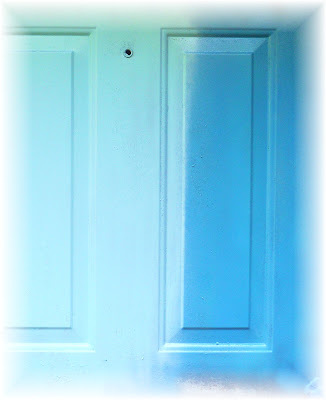 Next I sanded, primed and painted the door my favorite shade of Turquoise. I brought in a shipping pallet and painted it white and the same color of Turquoise and placed it below the door for a new stoop. Next I painted some old wire baskets, lined them with some cocoa liners and hung them below the two windows and finally filled them with lots of flowers. Next I added plants and flowers to the beds and added a thick layer of mulch. Finally I gave our old wheelbarrow new life and a new purpose! It was originally painted your basic contractor orange. I painted it PINK and yellow, filled it with dirt and added lots of flowers. I'm not 100% happy with the color I painted the wheelbarrow but I'm going to let it go for now. And here is an "After" shot of the shed. And I have one last little detail to show you. This little sign at the end of the shed points the way to the "Hidden Beach". 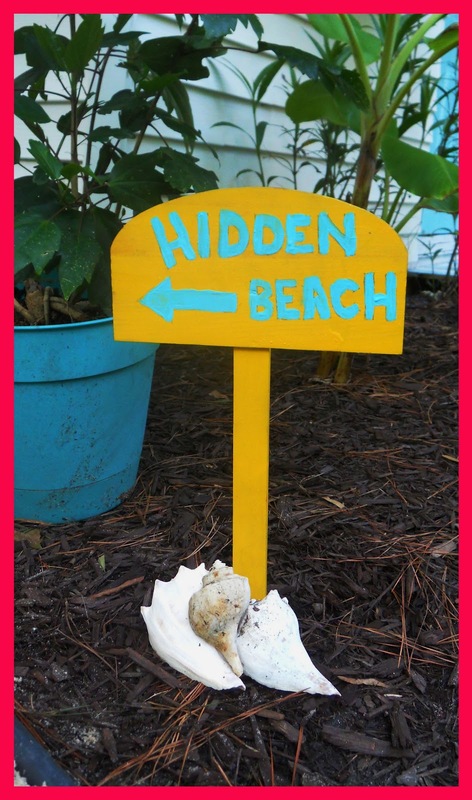 Do you see the seashells at the bottom of the sign? Well my girls actually found them on our property when we cleared our lot, proof that we once owned Ocean Front Property, lol! So whats next you might ask? 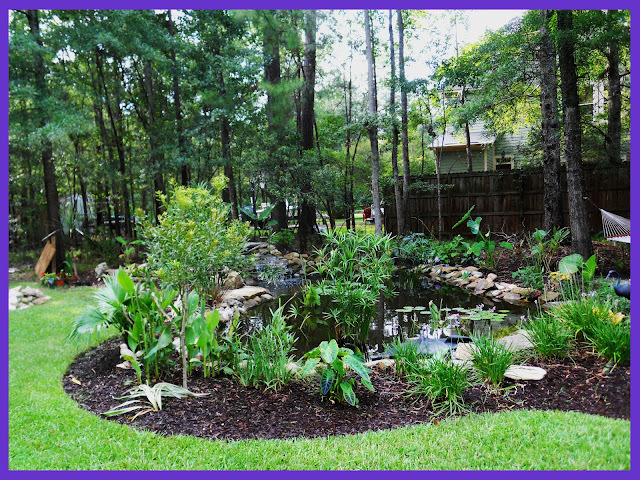 Well, I want to build a large firepit in the grassy area just out from the pond, complete with a pea gravel seating area and lots of brightly painted Adirondack chairs! I'm linking this to PINK Saturday so please stop by How Sweet the Sound and say HI to Miss Beverly! 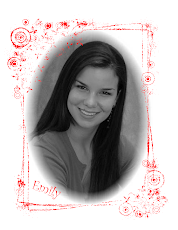 Hi Everybody and Happy Pink Saturday! This is the second part of My BIG Backyard Makeover. If you missed Part I, you can check it out HERE. As I told y'all in my previous post, Mr Bubble and I own almost two acres, the majority of which have never been touched by human hands. Mr. 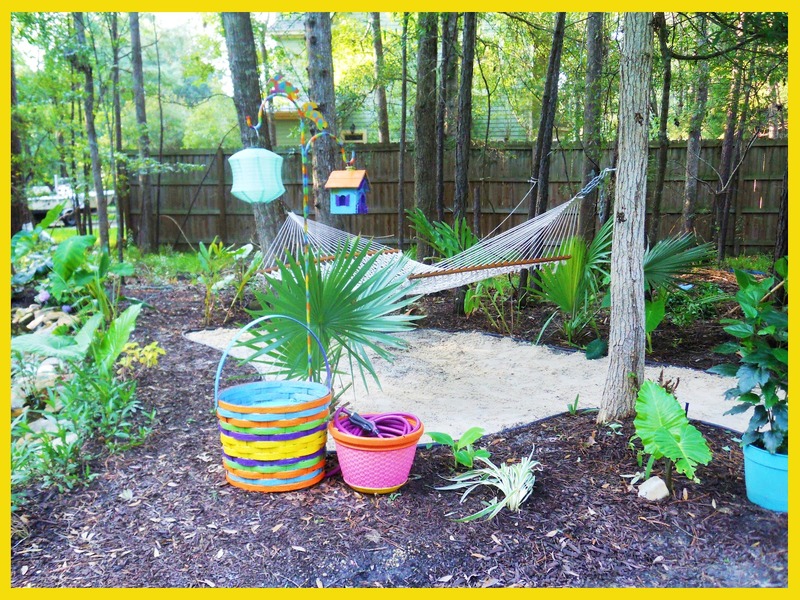 Bubble has been working on the West Coast all Summer so I decided to surprise him with a tropical, Caribbean themed backyard makeover. I concentrated on an area centered around our pond, it measures about 70 feet long and includes a shed, the pond, a natural area between the pond and shed and a large berm (mound of dirt). Today I'm going to show you the berm and the pond makeover. There's a lot to see, so let's get started! 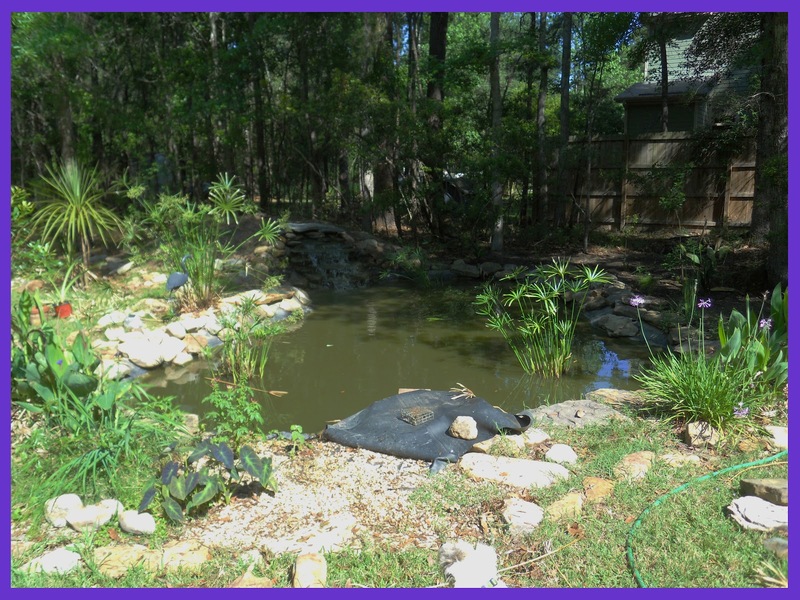 Mr Bubble and I built the pond about seven years ago and one of the results of building a large pond is the large amount of dirt that has to be dug out. Well that dirt has to go somewhere, so Mr Bubble and I bermed it up behind the pond to create the waterfall. We have never really done anything else with that large pile of dirt so it had become overgrown with weeds and just looked awful. Here is a shot of the area before I started. The first step was to level the dirt and give the berm a nice rounded shape. I had to dig and dig and dig some more. 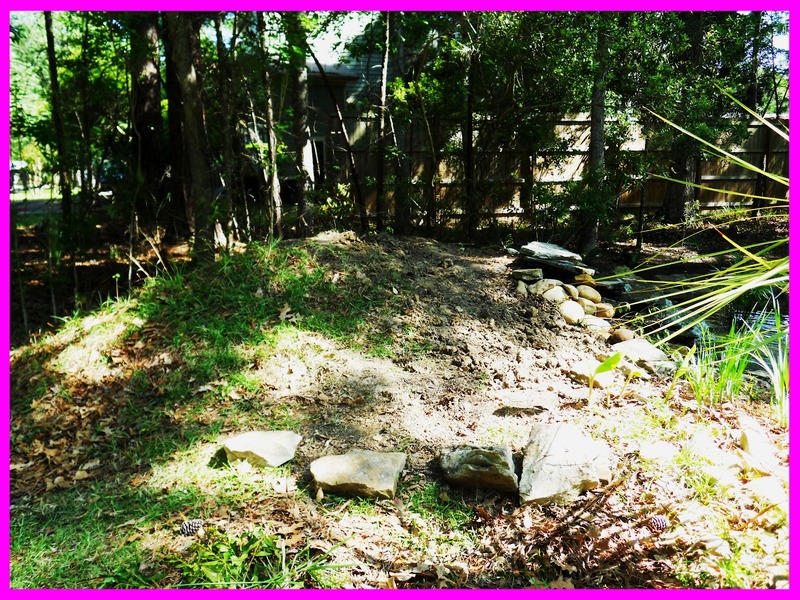 Once I had the berm shaped, the next step was to build a stone retaining wall. I dry stacked the stones ( meaning they are not mortared together) two high then filled the area with some really rich dirt. 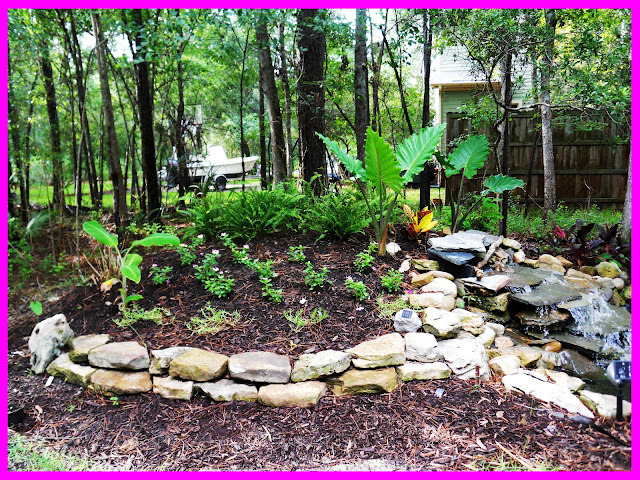 Once this was done, I removed any remaining weeds and replanted the area with some great tropical plants. I wanted the area directly behind the waterfall to be a focal point so I planted two large Alocasia Odora, sometimes called Elephant Ears. If there is a drama queen in the plant world, it would be this plant! I also planted a Croton, the smaller plant with the multicolored leaves. On the berm I planted some Kimberly Queen Ferns, along with some pretty PINK Vinca and PINK Portulacca. Here's an "AFTER" shot of the berm. Next I tackled the area around the pond. A couple of years ago I thought it would be a good idea to put a large border around the pond about 4 feet out from the edge. The border consisted of large rocks and pea gravel ground cover. Well it turned out to be a really dumb idea! It was impossible to keep the gravel clean and free of weeds and leaves. 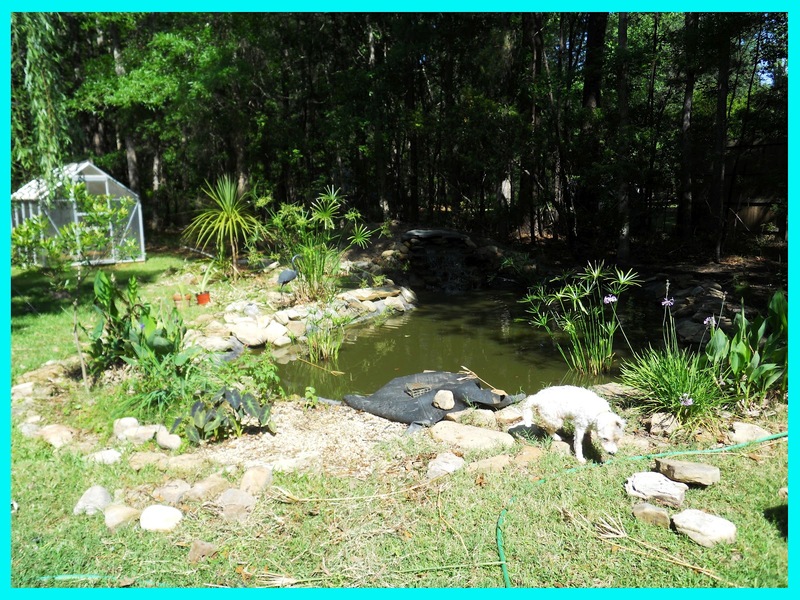 Here's a shot of the pond before I started, yes, my Jack Russell Hippy loves to swim! First I raked up all the gravel and took up the large rocks. This was back breaking work but I was determined to follow through. Next I laid out and cut a nice, new, curvy bedline, added lots of new plants and put down a nice dark brown hardwood mulch. And here's an "AFTER" shot of the same area. 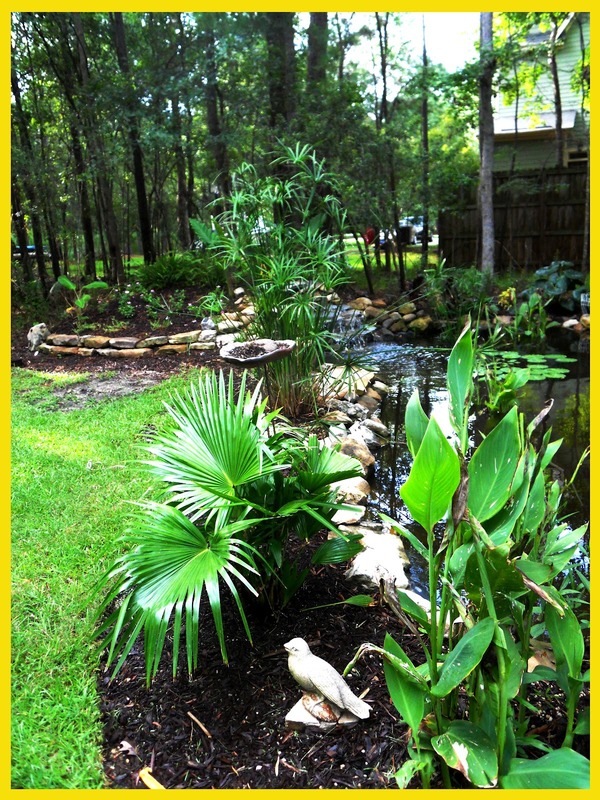 Most of the existing plants were located on the front side of the pond which is really sunny while the back side which is really shady had very few plants. I was really excited to plant the shady side because some of my favorite plants thrive in the shade. I added three more varieties of Elephant Ears, a Chinese Fan Palm, a Blue Endless Summer Hydrangea, a PINK Mimosa Tree, PINK Caladiums, a Giant Leopard Plant, PINK Impatients, Society Garlic, Ti plants and more Crotons. I want to add more plants and I know I need more color but it is just too hot right now to plant anything. Now I'll shut up and just let you look at a few more "BEFORE" and "AFTER" shots. 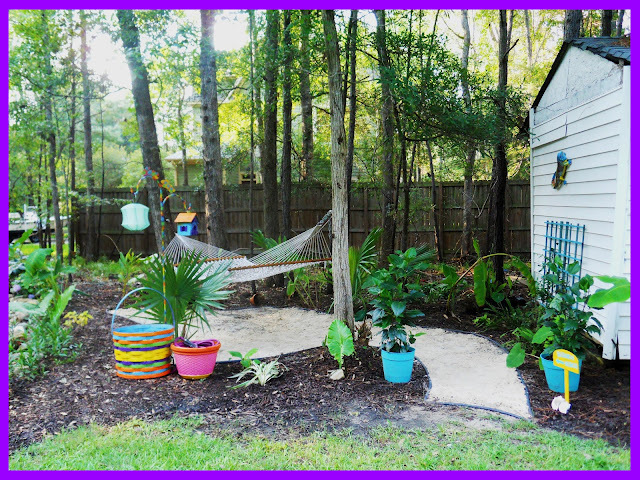 This post will be the first of two and maybe three, revealing my BIG backyard Makeover! Mr. Bubble and I have almost two acres, the majority of which have never been touched by human hands. I decided that THIS was going to be the Summer that I tackled one small area and since he has been working on the West Coast all Summer, it was the perfect opportunity to surprise him with a Makeover! I have been a Landscape Designer for over 27 years now but most of the time my clients want a very traditional design, so for my own yard Makeover, I decided to think way outside the box and come up with something really fun and unique. Thanks to Pinterest, I was able to find so many great ideas that I decided to create some inspiration boards. I'll let you see if you can figure out my Makeover "theme"! This fist board is all about color. 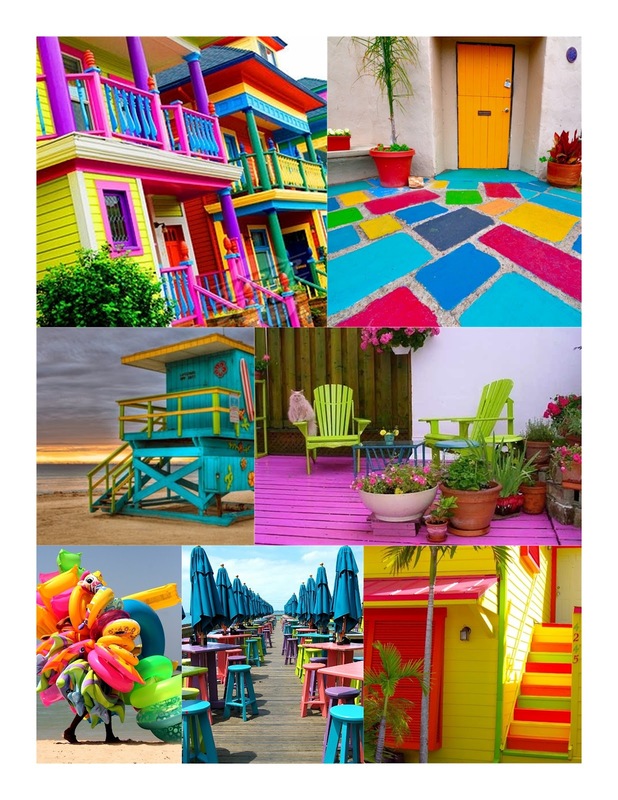 As you can see, I wanted a bright, happy color scheme! This next board is all about plants. I wanted plants with BIG, bold foliage. 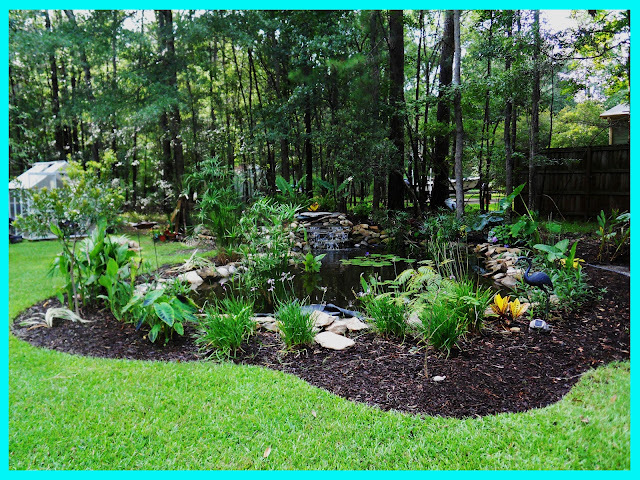 This is easy to accomplish here in Charleston as many topical plants thrive in our hot, humid summers. 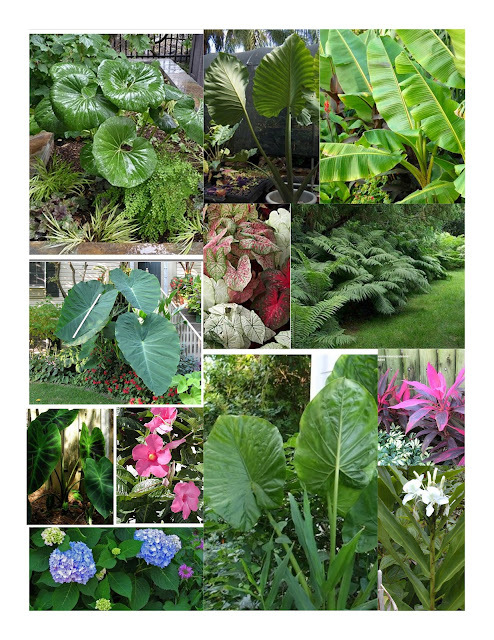 Banana Trees, Hydrangeas and Elephant Ears are some of my favorite plants. In fact; I used about seven different varieties of Elephant Ears. This last board was my inspiration for some of the ideas I wanted to incorporate into my landscape Makeover! So have you guessed my theme? Well, in case you haven't, I wanted to create a lush, tropical, Caribbean feel! 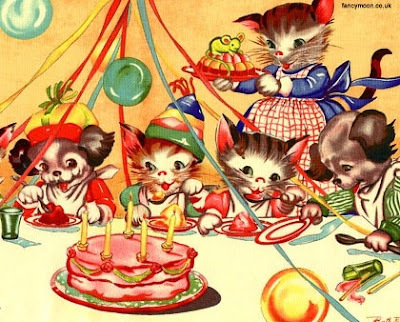 as Ms Beverly is celebrating her Birthday! I hope all of you will stop by How Sweet the Sound and heap the Birthday Wishes on this special Lady! I FINALLY have some PINK to share with you, my new Flamingo PINK Fiestaware! 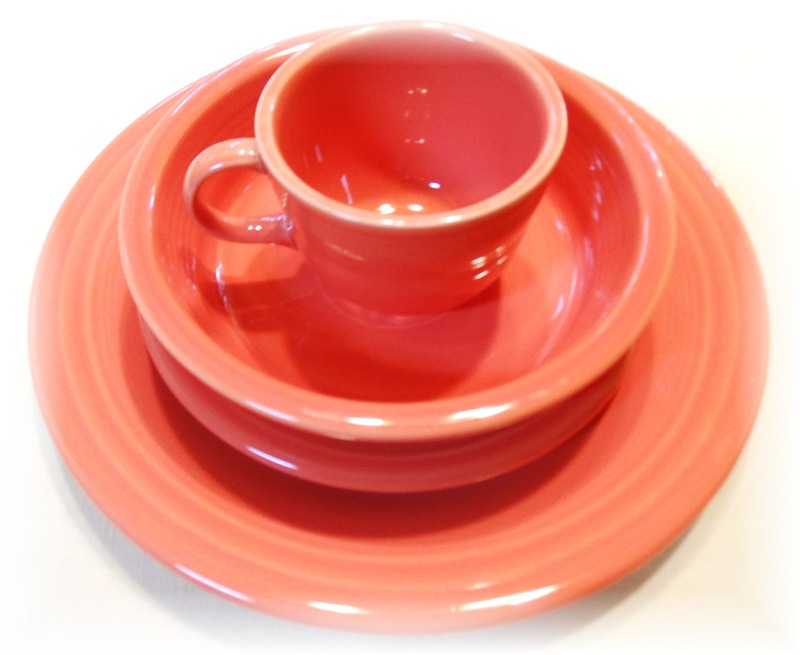 This color was just released by the Homer Laughlin Company and I could not wait to get my hands on a place setting of my own. Don't you love this shade of PINK?! Now, I realize this post might be a little boring for some. 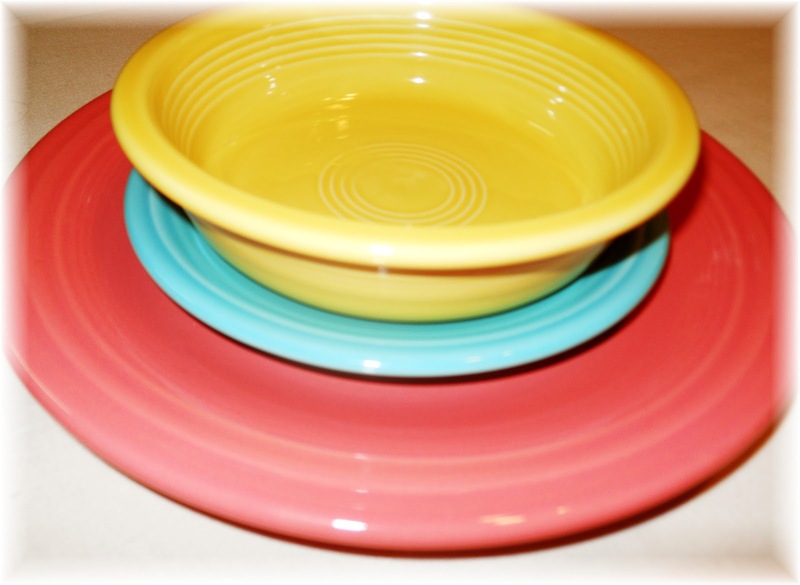 I don't own oodles and oodles of Fiestaware. 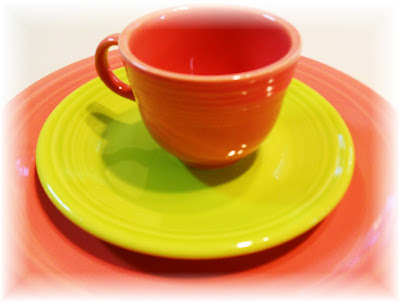 In fact; I only own one place setting of 10 different colors. And I don't own oodles and oodles of fancy accessories or matching tablecloths. 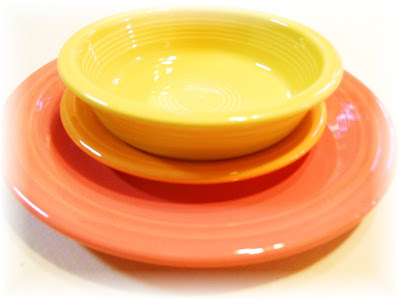 But I love my small collection of Fiestaware and think surely, they must be the "happiest" dishes ever manufactured! Here are a few of my favorite color combinations with my new Flamingo Pink. Do you have a favorite combination? Now I need your help! Our yard is almost 2 acres and the majority has never been touched by human hands. I decided THIS was the Summer I was going to work on a small area and create a little tropical get-away which, I hope to show you next week. I'm stumped on one thing, the color for the door on the old garden shed. So which color do you like, the paler turquoise on the left, or the brighter turquoise on the right!